It’s the little conference that could, and has. 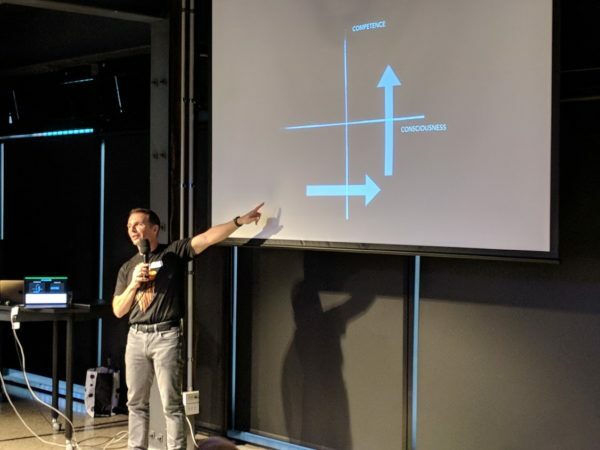 A few years ago the people of Nomad8 decided to create the agile conference that we’d want to go to, as there really wasn’t another option that met our needs. We wanted a conference with diverse speakers, who would spark our imaginations, talk about interesting ideas, projects and concepts, and who were loosely related to agile. We wanted to celebrate the wealth of local talent that’s around in Aotearoa by having local speakers. And we decided to open it up to anyone else who wanted to come along. 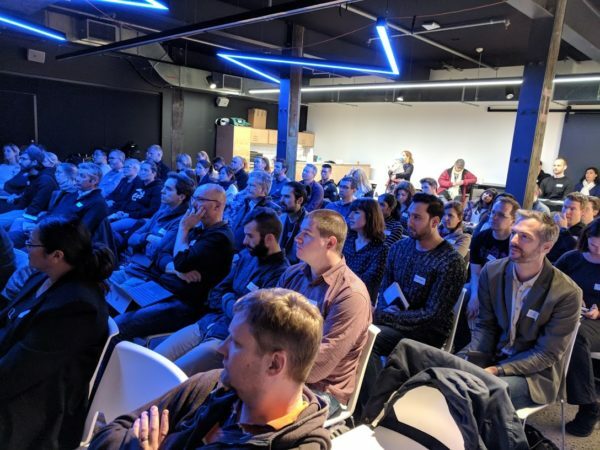 We had a space that fit around 100 people (thank you GRID AKL), so that kept us to a manageable size. We didn’t want to make this a profit-making exercise, so we kept costs low and the event basic. Any profits are donated to something we believe in. JAFAC has just run for the third year and we’re pretty happy with how it went. There was a day of presentations from nine hand-picked speakers, followed by a day of Open Space. The tickets sold out quickly once people heard it was happening and we had a great group of eclectic attendees who were ready to be inspired. Miki Szikszai - Snapper’s CEO unicorn, talked about the perceived problem of a skill shortage for IT workers in NZ and how at Snapper they found the answer right under their noses. Their inspirational grad programme not only gives grads a salary and valuable experience, but they hope to make it an academic standard in the future. Read more about Snapper’s growing great talent programme. Nick White - Product Management and Agile coach for Nomad8, told a very personal story of his journey through the health system. From having an aggressive cancer in his face and neck, through treatment and rebuilding, to running the Goat and then up Mount Fuji. Taking agile to new heights! 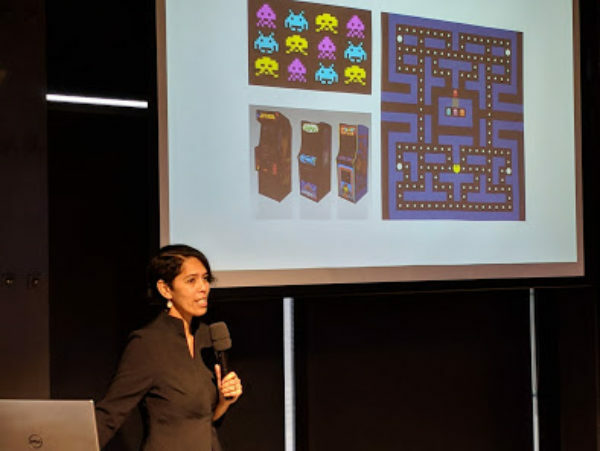 Maru Nihoniho - CEO of Metia Interactive, took us back to our childhoods with stories of playing spacies at the fish and chip shop, and described how that led her circuitously into running one of the top game development shops in town. She described the process of reimagining some of her early games to fit with today’s tech and players, and stressed the importance of having a goal but not worrying too much about exactly how you reach it. Eli Hirschauge - works with the Technology team at Tower, and comes from a Head of Technology Delivery role at PWC. Eli elaborated on the importance of measuring the right things, something that is integral to doing the right thing in the first place. 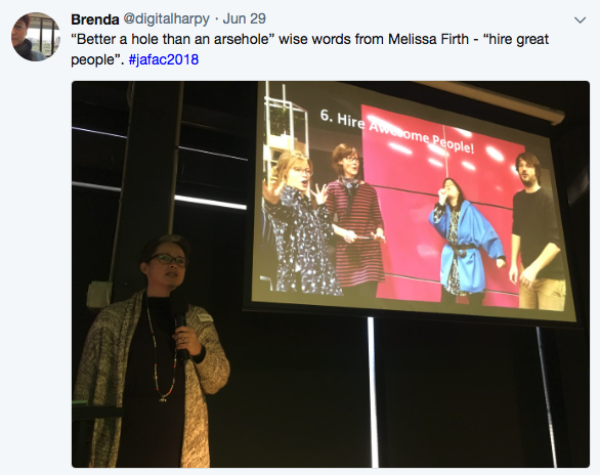 Melissa Firth - fresh from her role as Head of Digital at Te Papa, gave us 11 really important things to do for creating change in a bureaucracy. Her direct and honest observations were hugely relevant to anyone working in Wellington who might potentially be dealing with a bit of bureaucracy! 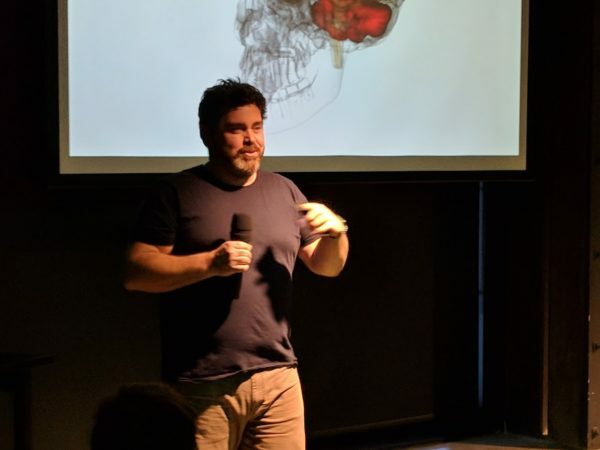 Mike Riversdale from Access Granted, a podcast series that talks to tech people across NZ, gave a multiplatform presentation about heads and hearts and how both play a key role in being truly agile. Hadas Wittenberg is a Future of Work enabler who spoke about the need for us all to be ready for disruption and future change. Helen Littlewood - Agile coach for Air New Zealand’s digital transformation and strategy teams. Helen gave us a delightful tour through her extensive startup past and her experiences of agile as it is being used to support airline operations. 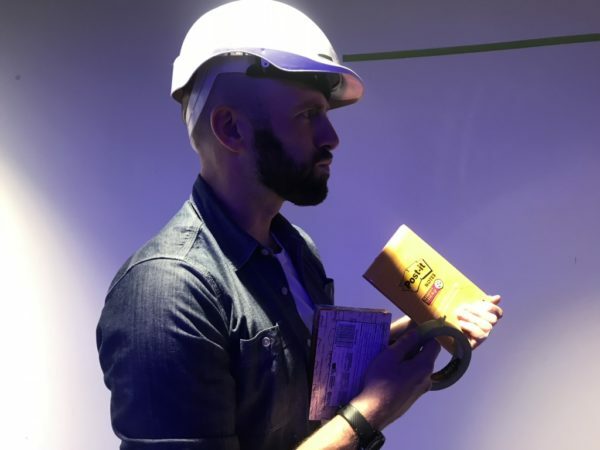 “We made something that's now called an MVP, back then it was called, 'Let's try something that doesn't cost too much money'"
Ben Gracewood - Chief Product and Engineering Officer at VendHQ. Ben took us on a little venture into neuroscience and managed to steer across to how to make the most out of a train smash. How an organisation survives a major restructure and setback to come back stronger than ever and ready to take on the world, and why culture matters. We were blown away by how many people came back for this day. Controversially held on a Saturday we started the day by locking ourselves out of the venue (ok yes, that was my fault) but disaster was averted at the last minute and so we avoided having to embody the literal open space option and having 60 people freezing on the street. Open Space Tony was back for a second year, kicking off the day with a quick round of murder ball to create a safe space for everyone to share, converse and question. And there were many questions, the agenda filled up fast and everyone was absorbed in discussions for the rest of the day. Tangible outcomes - such as actions for countering climate change - were decided on. Information was shared and discussed - about dealing with Government, using words that don’t put people off, ideas for ideation, slow agile and many more topics of the day. And there was a weird dancing thing that apparently made for safe spaces … but I just watched from afar on that one. People left fizzing and sated, happy to have spent the day in the company of like minds and eating metres of pizza (unfortunately it was cold but it was still great). And so it’s over for another year. Watch this space - JAFAC may morph into something else, or it will be back for another round of provocations in 2019. A huge thank you to all the speakers - you can read the full list here - and to my Nomad8 colleagues who are absolute rockstars of Agile. In 2017 JAFAC profits went to support workshops for getting girls into technology through OMG TECH. Profits from #JAFAC2018 will be donated to the Gillies McIndoe Research Institute (aka the people who saved Nick White), to support their pioneering work into the treatment of cancer. If you would like to donate as well, there’s a link on the website. Thanks to Mike Riversdale for the event photos! 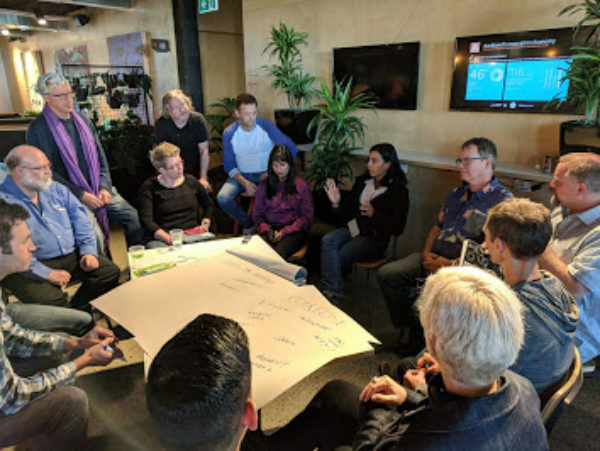 Tags: Agile, Agile conference, Auckland, Conference, JAFAC, JAFAC2018, Open Space, unconference.